The LASER QUATTRO SILENT is from the premium category and is aimed at satisfying the cutting requirements of the most demanding customers at a reasonable price, particularly for those who need a more silenced disc and wish to reduce noise by up to 30 %. Its special CORRUGATED segments facilitate the start of cutting and the sharpening of the segments. 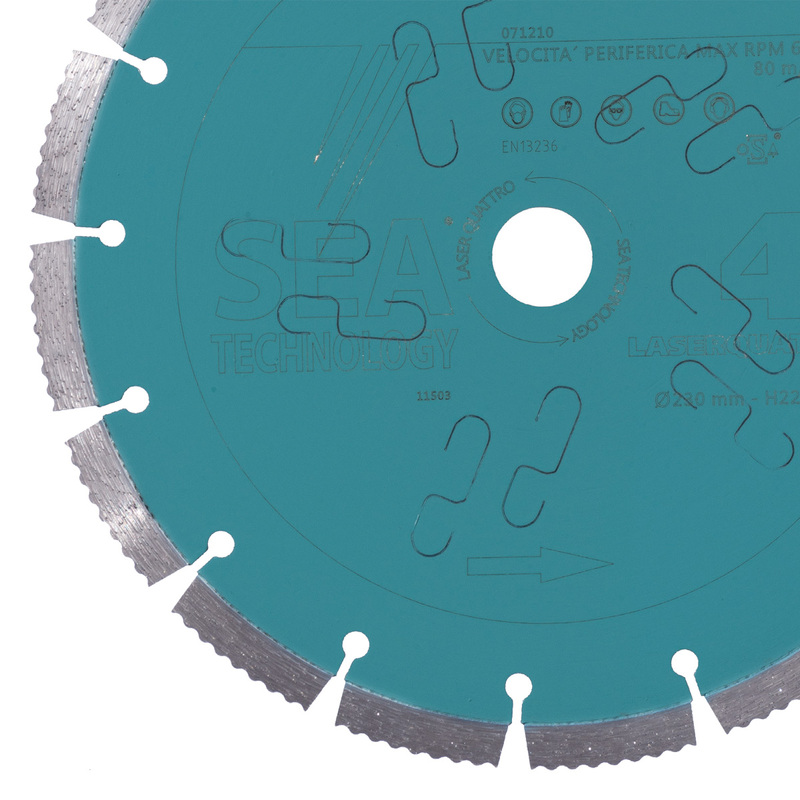 This tool has been much appreciated when used on hand-held saws and table saws.